Check out the new Kinross.com! 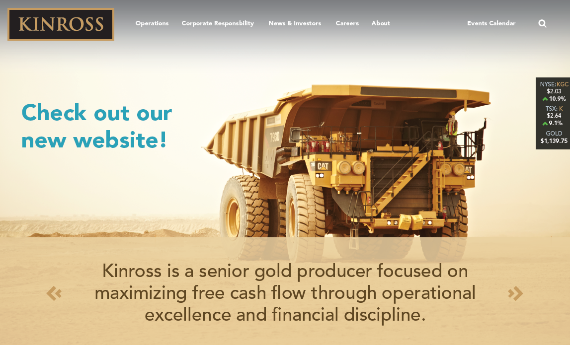 We are excited to announce the launch of the revamped Kinross.com site. Check it out here. The new, updated site highlights Kinross as a strong gold equity investment and excellent operator and showcases our commitment to corporate responsibility. The site leverages the many excellent videos and photographs of our operations, people and communities, and is mobile-friendly, designed to be viewed on your desktop monitor, tablet or smartphone.